TUSCALOOSA, Ala. — University of Alabama researchers will soon begin a four-year, $1.9 million validation study of the Alabama Department of Corrections’ women’s risk needs assessment process. The ADOC is entering its third year of using the Women’s Risk Needs Assessment, or WRNA, a series of assessments conducted upon arrival at Julia Tutwiler Prison for Women, every six months thereafter and prior to release. WRNA, which assesses risks to staff and other inmates and determines the level of custody to place a prisoner, was developed 10 years ago through collaboration between the National Institute of Corrections and researchers at the University of Cincinnati. Alabama is the only state corrections agency using WRNA to inform on both needs and risks, said Dr. Wendy Williams, deputy commissioner for ADOC. Prior to switching to WRNA in 2016, the ADOC used the same assessment tool it used for male offenders to assess women offenders, which doesn’t consider the differences in pathways to criminal behavior between men and women and how to tailor rehabilitation programs specifically for women. WRNA focuses on a variety of female-specific domains, like past traumatization, which can manifest into substance abuse and strained relationships with loved ones. The validation study will cover the entire spectrum of the WRNA program at three women’s detention facilities in the state: Montgomery Women’s Facility, Birmingham Community Based Facility and Tutwiler. Researchers from UA’s department of criminology and criminal justice will study how WRNA is associated with particular likelihoods of misconduct or recidivism after release and to ensure the program is being run with fidelity. 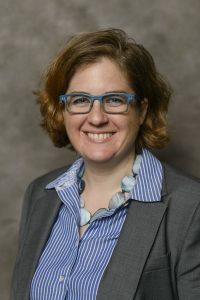 “We can make generalizations about associations between particular risks and needs and inmate misconduct, but looking at three different prisons in Alabama, I think, will give us a good regional assessment of this particular document,” said Dr. Jennifer Kenney, assistant professor in UA’s department of criminology and criminal justice. Kenney said it’s difficult to make determinations on prison reforms since researchers aren’t typically afforded access to correctional facilities, unless they’re working together. The study will provide both academics and prison practitioners a unique opportunity to learn if WRNA is working in Alabama and if its programming and results can be duplicated in other states. The ADOC has begun implementing programming to align with WRNA, including programs for parenting, active adult relationships and a cognitive behavior program for repeat offenders. Increased funding and staffing for mental healthcare and group and individual therapy could help even the disparity in arrest rates between men and women. Kenney said that, between 2006 and 2015, the number of men arrested decreased by 25.6 percent, while women’s arrests decreased by 11 percent.